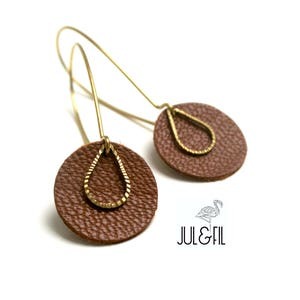 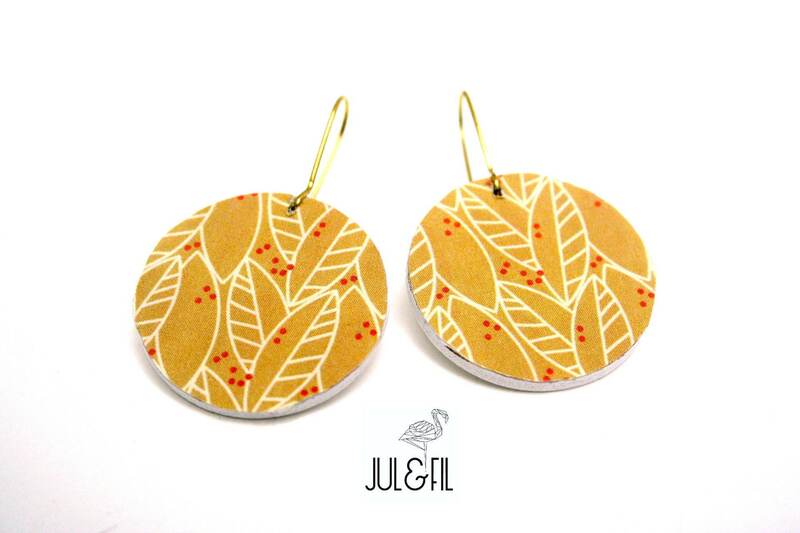 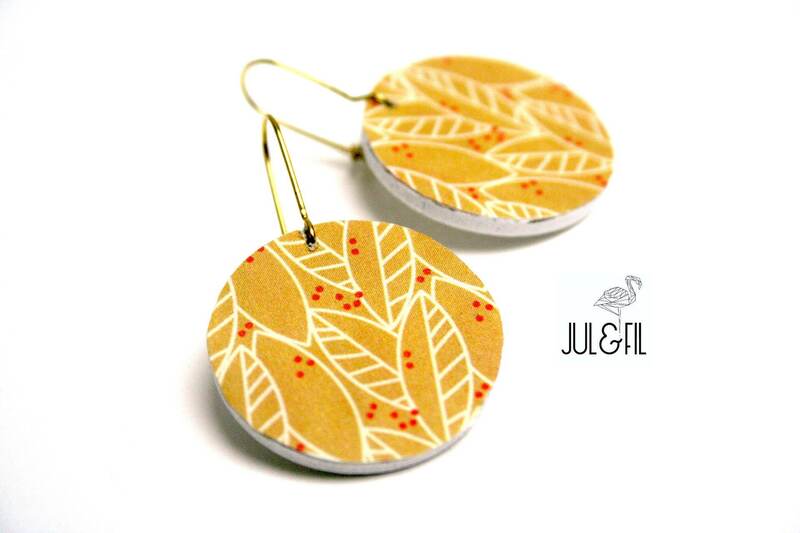 White painted wood earrings, leaf pattern charts with every art deco, with subtle colors, brass hooks. 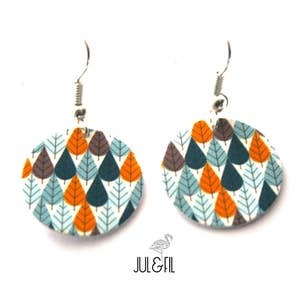 Print high resolution finish matte. 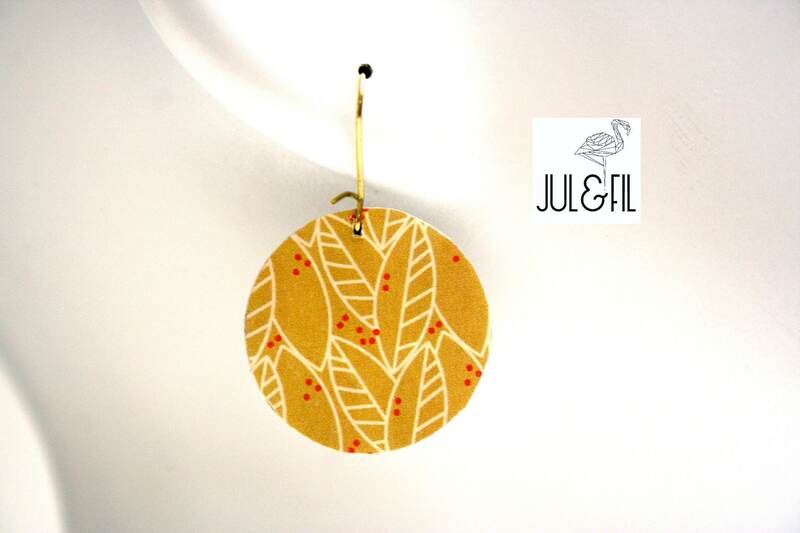 Brooch 25mm, thickness 2mm diameter white painted wood. 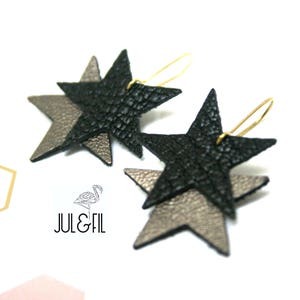 Very good quality non-plated brass hooks closure.